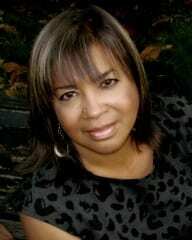 Music industry veteran Jackie Patillo has been appointed Executive Director of the Gospel Music Association. The newly created position will report to the GMA Board of Directors, facilitating the day to day operations of the GMA, as well as working closely with its board to ensure that the organization’s mission and strategies continue to grow. The GMA currently represents those in the Gospel and Christian music markets anchored by the annual GMA Dove Awards. The GMA has been without a leader since the September 2009 exit of John Styll, who spent six years as President and CEO. Patillo has been an instrumental executive over the past few decades as she has lead the A&R departments for Star Song and Benson Music Group labels, as well as most recently serving as Verity Music’s (Sony Music Entertainment) VP of A&R and Artist Development. Her leadership roles have also included the general manager post at Integrity Gospel (Integrity Media) and running her own consulting firm on several occasions. Patillo is affiliated with NARAS, GMA (Gospel Music Association) Board Secretary, GMTF (Gospel Music Trust Fund Trustee,) Mercy Children’s Clinic Board of Directors, SAGMA (Stellar Awards Gospel Music Academy), AMTC (Actors, Models and Talent for Christ) and, ARTS (Applause Rising Talent Showcase). “I am both thrilled and humbled to be assigned to this post by people that I truly respect and have shared vision. Christian and Gospel music and the people they represent is more of a calling than a job for me. I look forward to serving our artists, leaders and valued members as we strategically move forward in all aspects of the GMA mission,” says Patillo. Email Patillo at jackie@gospelmusic.org or call her at (615) 277-1331.